Jukka Viitasaari one of Finland's most prolific composers of band music, has his stylistic roots in a combination of town band music and rock and roll. 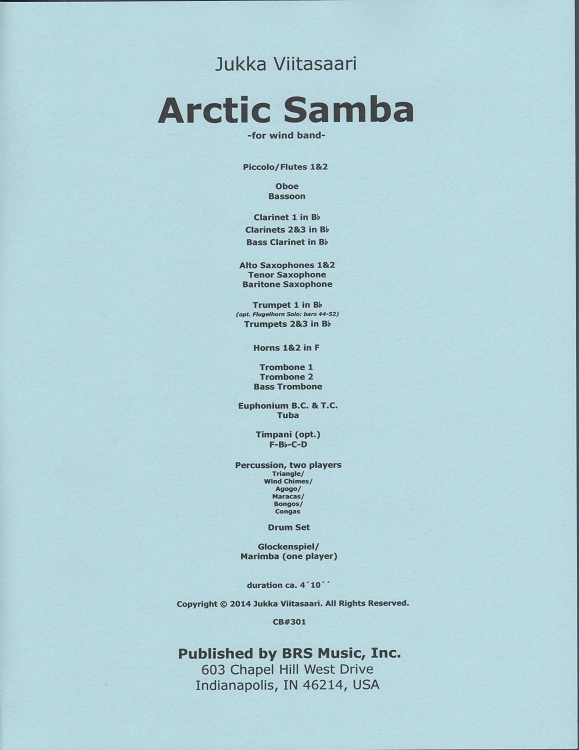 Arctic Samba is one of several of his band works that combines Finnish folk elements with World Dance rhythms. Performed at the 2014 Midwest Clinic.